Discover interesting facts and information about each of these Native American Groups and the tribes that belonged to them. 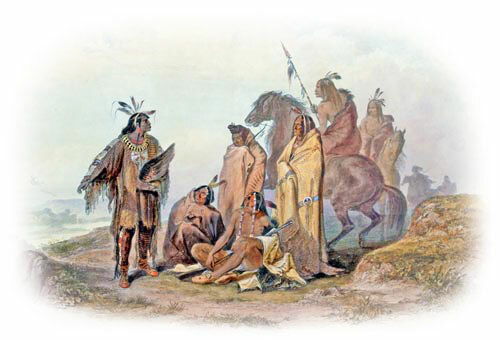 Scholars have organised the Native American Indians into to ten primary groups which are separated by location. The culture groups of Native American are categorised according to the divisions of Native American Groups as illustrated on the map and details of the culture of these people living in the areas are detailed below. The groups are categorised as Northwest Native Americans, the Northeast Woodlands Indians, Plateau Indians, Great Basin Native Indians, the Great Plains Indians, the Southwest Indians, the Southeast Native Americans, the Arctic and Sub-Arctic Indians and the Native Americans of California.